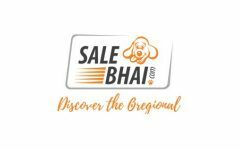 Business description - Salebhai.com is an Indian e-commerce portal that enables people living away from home order a range of specialties directly from their hometowns. It is also a one-stop solution for those who want to discover regional products from across India. People can pick from a wide variety of delicious consumable items like sweets, namkeen, chocolates, bakery, spices, dry fruits, beverages, and pickles. Salebhai also offers other products such as handicrafts, paintings, puja items, handloom goods, and herbal & wellness items. After studying migration trends among Indian citizens, it was observed that most people moved to fast growing cities like Ahmedabad, Bangalore, Chennai, Delhi, Kolkata, and Mumbai – either due to employment opportunities, education, or marriage. The data on migration in the 2011 Census also revealed that 2 out of every 5 Indians are migrants, which make for a whopping 40% Diaspora population. The market gap also demonstrated that migration created a void in people‘s lives. Therefore, driven by back-to-roots philosophy, this E-commerce marketplace focuses on requirements of over 17 Diaspora communities living in big Indian cities as well as those who live abroad. With 8500 products sourced from over 100 cities and 300 select vendors, the company provides people with an opportunity to buy products in various categories from sellers across India as well as discover new items from different communities and cultures. Salebhai Internet IPO allotment status will be available on Skyline Financial Services' website. Click on this link to get allotment status.